Some articles, information, post, photos etc. being viewed in this site are those of the writers, and some are from respective source websites/links and do not necessarily reflect the position of CEBUFESTIVALS.BLOGSPOT.COM This site also does not knowingly publish false information and may not be held liable for any commentaries conveyed by the writers exercising their right to free expression. 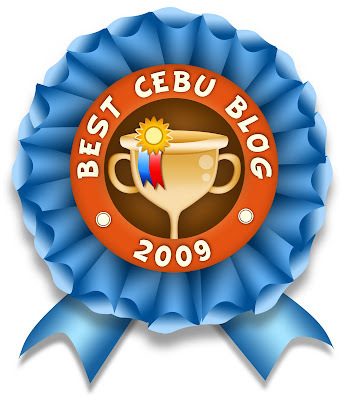 CEBUFESTIVALS.BLOGSPOT.COM would like to give CREDITS to the following people, Sir. Rey Abao Dacalos and Mr. Ted Seclon for using the different header images of this webBlog. Daghang Salamat ug Mabuhi ang mga Fiesta sa Sugbo!! !